Disney have taken Mark Peter Hughes' book, Lemonade Mouth, and created a rockin' young person's (that's the politically correct and non-age biased way to put it these days, right?) movie. 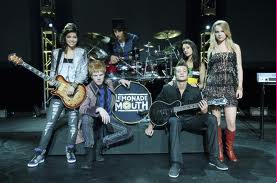 Lemonade Mouth is the story of 5 high school outcasts who meet over detention. As magically happens in Disney creations, things fall into place so that the kids quickly discover their individual musical talents mesh together to form a band. Can I just say, my school had a bagpipes band, a choir, and a brass band. All tartan-clad. There was no rocking out. No rapping out the back of the school basketball stadium. Most definitely no smoke machine to add atmosphere (unless you count the girls who snuck out the back of the music department to smoke. Or, um, so I heard *cough*). Where was this school while I was stuck lusting after the gardener at my all-girls school? Anyway, back to the movie. The tunes are catchy. There's rap for your super cool street-cred loving kids, like Mstr2 who bounced along adding his own strategically placed "yo yo yo" (along with...ahem...closet rap and R&B loving Mothers). There is a lot of rocking, which gets the thumbs up from the resident ninja tyrant, Miss2, who stalked around the living room throwing her arms in the air and yelling back at the DVD. Miss5 loved the dancing, and half way through our second viewing (the second of many), she was busting a move in the middle of the dance floor. She attempted to launch herself off the lounge holding her Wiggles guitar, copying the highly trained, skills and much practised characters on screen. It didn't work. There was a quick pause while a Winnie The Pooh bandaid and frozen peas were fetched. The storyling is about standing up for what's important and being heard. It's kind of cool because it is appealing to the tween age group. To date, my movie critiquing experience has been predominantly of the toddler to 6yr old variety. It is freaking awesome to watch a DVD that does not revolve around sweetly smiling teenagers who only sing songs that rhyme. In sing songy voices. It was a great opportunity to introduce Miss5 to something for a slightly older audience, without fear of swearing or violence (at least, not beyond a plastic cup avalanche). No inappropriate clothing or midriff bearing tops and short skirts on the girls, no disgustingly low jeans on the boys (the kind that you really have to grit your teeth to resist the urge to yank those suckers up really freaking hard...or is that just me?). The most inappropriate/traumatic clothing scene involved some mega pizza stains, that had me quite distraught as to how they would ever get the stains out of such pristine white clothing. 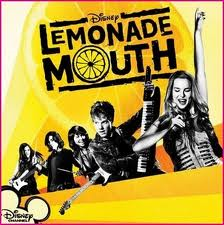 Lemonade Mouth is being released on DVD 1st June, and the awesome types at Porter Novelli and The Disney Channel have given me a copy for one of you to enjoy. That's right - get ready to rock on with your own toy guitar. Mind the mega star jumps, they are hazardous and best performed only by a trained professional. Just ask Miss5. What up with the yellowed blonde man-perm? 4. For an extra entry, tweet the competition on Twitter, or share on Facebook. Entries close midnight (WST) Tuesday 24 May. Winner announced Wednesday 25 May. Disclosure: I received a complimentary review copy of the DVD courtesy of Disney Channel via Digital Parents. No financial payment was offered nor accepted for this post. All opinions expressed are purely my own. 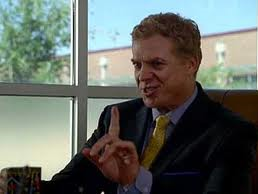 I was known as "continueously talking in class"! i was the drifter, moving from group to group of different types of friends. I wa known as "SmithCrisps"
Smiley - because I was always smiling!! I was the sporty one, sport was the only lesson i liked! I was the 'cheerleader' but in my defense, It was high school in ALABAMA for pete's sake! The options were Cheerleader or Bubba Gumps sister, if you know what I mean. i use to just go with the flow do what i pleased and always thaught of sick ways to seek revenge. I was the smart one though over time it's worn off! SIAA which stands for sic itur ad astra: Thus do we reach the stars. This was my high school 'handle' because I was like an ambitious young actress with stars in my eyes. Embarassing, but I was known as Spermy! Had to do with a last name of Wales, not anything else! Library Girl, my head was always in a book! Followed your blog, shared on facebook, tweeted as well. I was the Chameleon that blended in with everyone. Winner winner chicken dinner! Yay! That's the guy - the one with the mercifully short and tight shorts. Our "House Tutor" almost dated him, if it weren't for the Staff's 'no dating' policy. Wonder if that extended to Gardener & Student relationships?